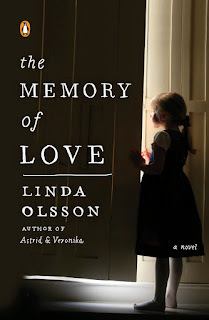 When I rang fiction writer, Linda Olsson, she was feeling overwhelmed. Having arrived back in New Zealand a few days prior, she was in the process of moving into a loft-style apartment in Auckland city. Boxed belongings from storage surrounded her, loaded with memory. She revealed to me, somewhat wearily, that this little perch will be her 19th 'home'. A brisk 5 minute walk up the road from her new bolt-hole, is the suburb of Ponsonby. She and her former husband once lived here in a characterful old villa. Write about what you know, they say. 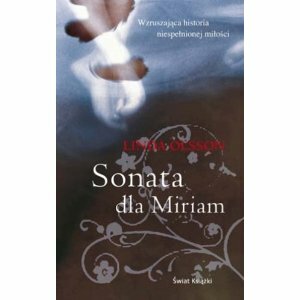 Linda describes such a dwelling and the genteel ambiance of Ponsonby in her internationally best selling novel Let me sing you gentle songs, also released as Astrid and Veronika. Her heart belongs to both New Zealand and her country of birth, Sweden. 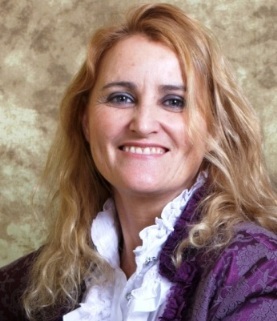 She describes herself as a New Zealand author. 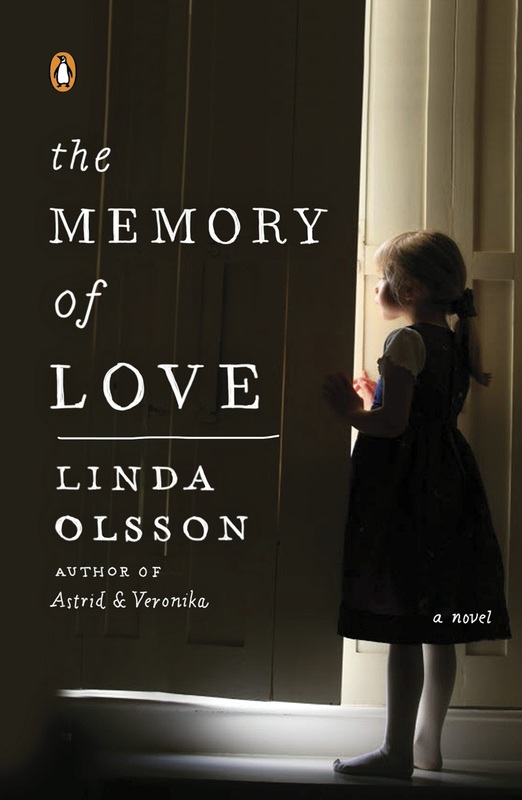 Her evocative descriptions of both countries, and the ringing truths of her observations about human experience, loss, memory and healing, are hall-marks of her books. This extremely mobile author has publishers in both countries and a fast-talking American agent with great drive. Her global reach has secured her that rare privilege – to write full-time. It has also revealed to her with great clarity, both the need for New Zealand authors to compete on the world stage, and the international market that awaits. Encouraging new writers is one of the aims of Linda's role as teacher, adviser, friend and future colleague in her upcoming Summer School workshop, Making Fiction Speak. Making Fiction Speak is the name of your upcoming Summer School 5 day workshop. Why did you word the title this way? For me, a good novel is one that captivates me. I want to be emotionally touched by what I read. The book must stir up feelings of some kind. It is not enough that it is elegantly written or that the plot is cleverly constructed. The text needs to speak to me. Make me feel something. Anything, really, but there must be an emotional response of some kind. This is difficult to describe, and probably difficult to teach. I will do my best, though. Are you able to give us a brief example of one of the writing techniques the participants will be exploring? Firstly, I strongly believe that a creative writing course needs to protect the individual voice of the student. The purpose of a class like this, I think, is similar to a master class for opera singers: the goal is to enhance what is already there. In our case, it is to teach ways to make the writer’s words speak more clearly and more effectively. I have specifically stated that students are welcome to bring works in progress, and we will discuss difficulties and issues that the students may want to share. In addition, we will look at examples from the world of literature that demonstrate a range of approaches to fiction writing. The workshop is pitched at the Intermediate level. Describe the candidate/s who would most benefit from this process? Students who have worked on something with a mind to publish. People who are really trying to write a novel or short stories. This is your first practical teaching exercise, I believe. Does it feel a natural next step, in a way, to share your knowledge in this way? I do a lot of lecturing around the world. Usually, these focus on my own writing, of course, but sometimes the topic extends beyond this and becomes more like a lecture on certain aspects of writing in general. Something of that will be carried over into the Summer School workshop. I particularly look forward to the hands-on work on the students’ own texts. I am often asked to review works, and I generally decline. But the students I hope to meet will have decided to take the course in order to progress their writing, and will be open to constructive criticism, I hope. 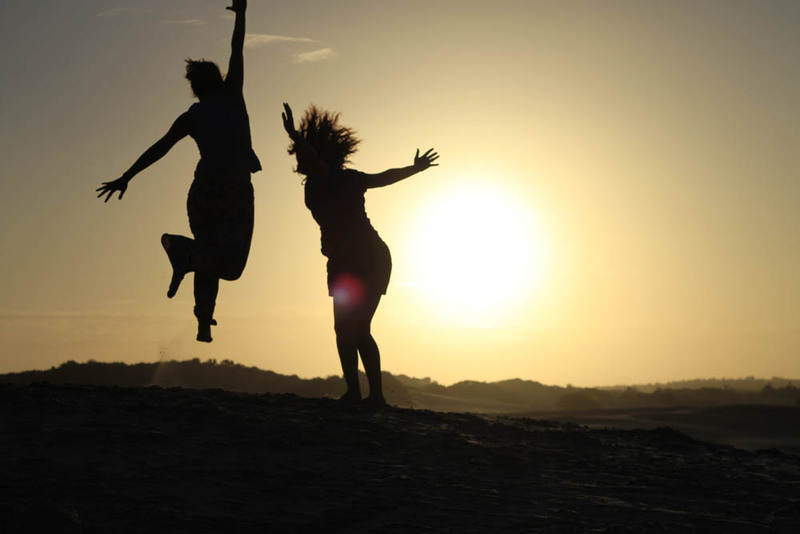 What are some of the qualities you most appreciated about your own tutors at the University of Auckland? Actually, the single most valuable aspect of the course was the interaction with the other seven students! Apart from that, the course provided structure to my writing, and I manage to finish my first novel! My first book emerged from course work at University. Overnight it became a best seller. 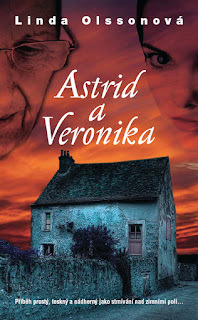 I had never envisaged writing novels; it was short stories that I loved, so it is still a surprise that I am writing novels. It comes as a surprise that you studied law and worked in banking and finance early in your career. At what point or points did you realise there were other ambitions you wanted to pursue? I think it was the other way around, in a way. I would have liked to study literature and write when I left school. Language and writing was my passion at school. But I was the first member of my family to be able to go to college and university and it felt like a huge responsibility. I felt had to use the opportunity to study something ‘real’. I am glad I did. My experiences are valuable to me and have made me who I am today. I am not sure I would have had the confidence to write the books I have without my previous life. Some mature slowly! When your first novel became a best seller, how did it make you feel to imagine over a million people reading your hard won words? Landscape and environment play an emotive role in your books. 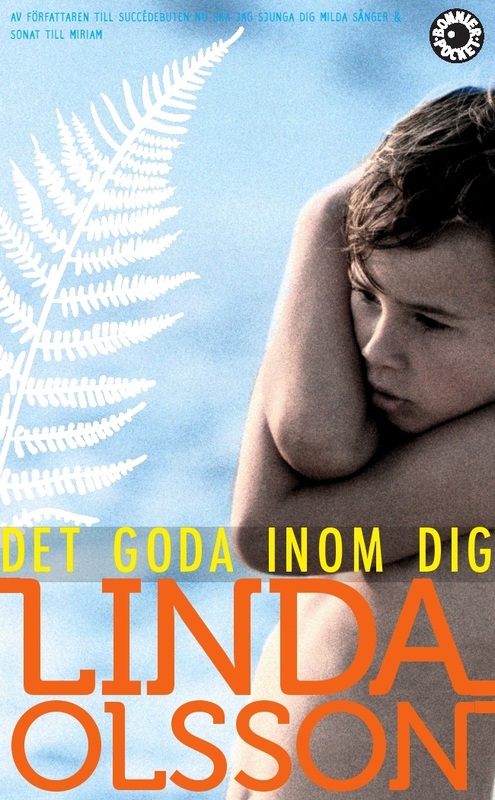 Does living 'between' two countries – Sweden, and New Zealand, sharpen a sense of perpetual separation, of not quite being in that location completely? Yes, that is probably true. I think that immigrants see their environment in a different way from those who have lived in the same place all their lives. I think the perspective sharpens the observations. Immigrants see things that the locals take for granted. And they always carry their old country with them.They make comparisons, whether positive or negative, consciously or subconsciously. It is interesting to note that many authors have written their best works when they have been removed from the setting of their stories. Because of my strange lifestyle, I live in two countries all the time. I am both an emigrant and an immigrant, permanently. And my relationship with my two countries as I come and go constantly changes. The one that is far removed seems more attractive always. And also clearer. I find myself referring to it all the time in a favourable way. So, I wrote my first, very Swedish novel, here in Auckland, and the third one, the most New Zealand of my three novels, mostly in Europe. In terms of challenges writers experience - would isolation be both a blessing and a curse? Isolation for me is necessary but then I get to the point when I desperately need to see people. Yet, I write the best when I'm alone and in quite a dark mood. I need to be able to really go into that world - I have to be there, and it does exclude everything else. I can't write about it from the 'outside', if that makes sense. I enjoy books where the author has clearly felt something. There is enormous power in words, but you have to find the right ones. I'm fascinated by the act of putting little black marks on a white page and sending it across the world and to have someone cry as a result. Do you keep an array of beautiful notebooks for the collection of thoughts? No. I keep buying them, and people give them to me, but I am completely dependent on my laptop. And my brain, hoping that elusive ideas will stay in my mind until I get back to my computer. I often send myself a text to make sure I remember an idea or an observation. Any favourite books or authors you can recommend? A Fine Balance by Rohinton Mistry is one that comes to mind. 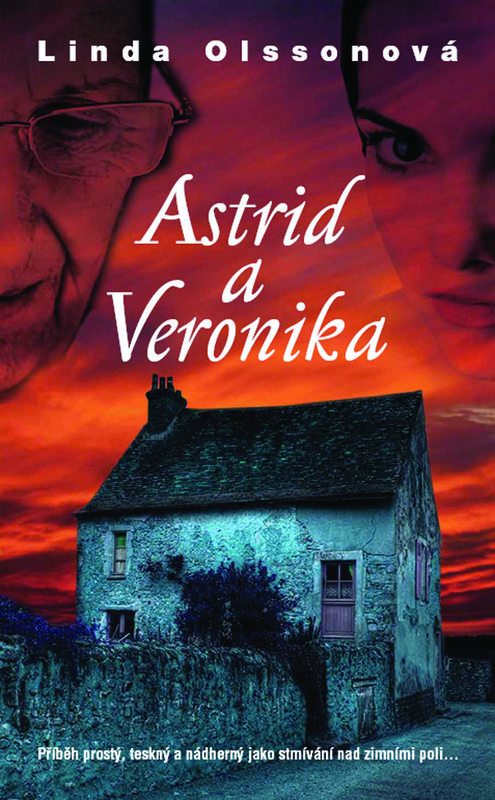 The main character is a woman whose life you follow – it is an old fashioned epic novel. When you finish, you feel you have made that journey with her, experienced her sensations; its beautifully written. Another book I often go back to is The Victim, by Saul Bellow. It's about a man who goes mad during a very hot summer in New York. You can feel is the heat, feel his mounting paranoia and descent into madness. I was really moved by your novel, Let me sing you gentle songs. Why did it also get released under the name Astrid and Veronika (the two main characters) ? It has been given many different titles. 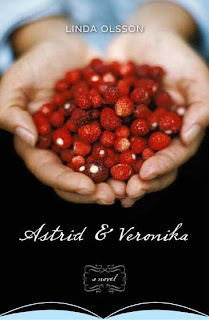 ‘Astrid and Veronika’ was the US title, and was subsequently adopted by some other countries. The oddest title I am aware of (I am not entirely sure what the Chinese, Japanese, Korean and Thai versions mean), is the German one: ‘Die Dorfhexe’ which means “The Village Witch’. It didn’t sell well until it was re-released with a different cover, so titles are important. Who would have thought a title like The Village Witch wouldn't sell like hotcakes...? It's also interesting that some men who have bought my book have really enjoyed them but admitted they wouldn't have bought as they thought was a 'woman's' book. Cover design is so important. Do you think it would work well as a film or does the thought of it being tampered with make you feel ill? I am not sure, but the film rights are presently under negotiation. My daughter in law who is a film director has always said it would be a difficult book to make into a film. Personally, I have already seen the film. In my head. Because I see my books, then try to write what I see. Someone asked if I think in English or Swedish when I write, and I said I did neither, I think in pictures. You were our recent literary ambassador to the Frankfurt Book Fair in October this year – how was that? To be honest, I came away feeling a little disappointed. The Frankfurt Book Fair is not a fun fair, it is a very serious trading place where literary rights are traded. I think that New Zealand was presented more as a tourist destination than a country offering a wealth of wonderful literature. I feel strongly that these are rare and valuable events; there is so little money for writers and an amazing platform like this needs to be exploited to maximise the opportunities for NZ authors and publishers. In many countries the literature has finally been recognised for its huge financial potential; its export potential. China recently launched a government initiative to promote Chinese literature overseas, for example. As has Sweden and many other countries. When I tour I always ask my audiences what other New Zealand authors they know. Usually I get an auditorium of blank faces. The odd person might mention Janet Frame. Someone might know that Katherine Mansfield was a New Zealander and not English. That is all. I was hoping that Frankfurt would change that. This was, afterall, a fair absolutely packed with hard nosed buyers. None of my publishers were approached by the New Zealand group - they didn't bring publishers, or agents to approach the buyers of literary rights. Iceland last year had all the right contacts, they introduced all the authors to the right people, and it had a really good outcome. New Zealand publishers, while some are excellent, don't seem to have the overseas contacts and confidence. I hope to see this change. How can new writers promote themselves independently at a global level? Well, obviously websites and blogs go some way. Find yourself an energetic literary agent. An agent who is fluent in several languages is a definite plus. I was lucky to find such an aggressive, hard-selling one - she got results. A good agent would have the required contacts in different markets. Something New Zealand publishers don’t have. I would like to have a session in the workshop about how to go about distributing your manuscript and the steps beyond that. This is the sort of thing serious writers need to think about. What kind of attitude should participants bring to your workshop and what would you like them to gain from the experience? A positive frame of mind. I hope they will come loaded with creativity and optimism, willing to be active participants. I would like for them to walk away feeling reinforced in their pursuit of their own writing projects. Confident and eager to sit down and write. Connections in such a setting can be made for life; I want them to come away with new friends as well as ideas. The workshop, ideally, will foster a sense of collective spirit; it's a discussion group – one which I hope to learn from also! Jyoshna La Trobe's serenity on the phone belies a fascinatingly full and busy career jam-packed with traveling, tours, interdisciplinary education projects, conferences, documentary-making, and completing a doctorate in music. Fittingly for an ethnomusicologist and specialist in World Music, as it is known, Jyoshna is seemingly a citizen of the world. She was born in England, spent her childhood in Australia, has lived in London, the U.S.A, New Zealand, India, and has journeyed around the globe extensively whilst researching and collaborating with local musicians. This singer/song writer has her own long catalogue of albums of often poignant and entrancing songs (see: http://blog.jyoshna.com/ for tracks and glowing reviews). Recently returned to her beloved home at Bethells Beach, on Auckland's West Coast, she continues to explore related strands of her speciality and passion by teaching and performing as well as taking up the role of music director for an upcoming Kiwi film by Athina Tsoulis. 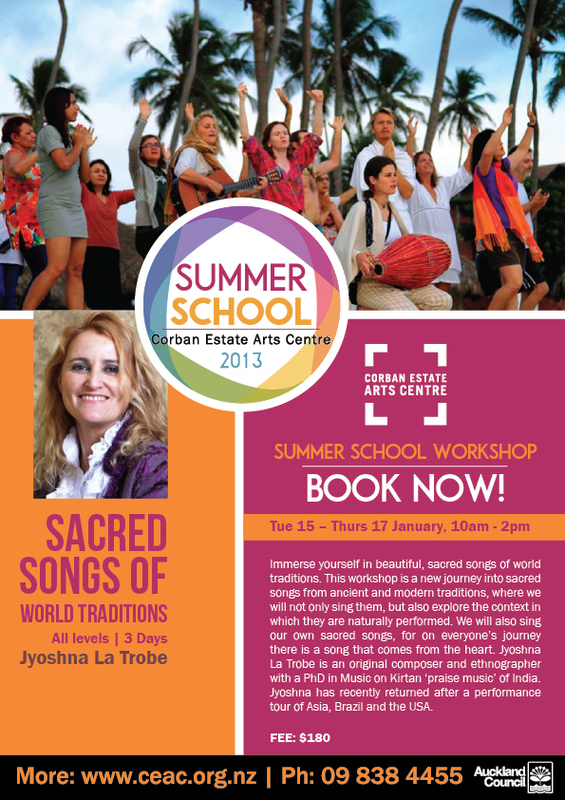 This impressively qualified teacher tells us more about her upcoming Summer School workshop, Sacred Songs of World Traditions and her interesting career. Jyoshna, your workshop Sacred Songs of World Traditions takes place over 3 days in January. What cultural traditions will you be looking at? Well, over the course of those 3 days we will view a range of interesting film archives and then get down to singing – some of the songs are sourced from indigenous music traced along the gypsy trail between India and Spain, for example. We'll explore the rich, historical connections between those two cultures. Then we will journey down to the South Pacific and look at traditions here. How would you characterise 'Sacred Songs'? Music that has a soul fulfilling purpose....Some music gives you a sense of safety and security; it can create a soulful and beautiful haven. Sacred songs, which are my focus, convey a human need to be sheltered in something greater and more universal than one’s self...and in that way they bring you home to yourself. I tend to focus on the more sacred music....but there will be 'social' or folk music included in this workshop. Some folk songs are very deep and very poignant...They're in every tradition and over time they evolve with each generation and are enriched by successive singers. Who are the sorts of people who would gain the most out of your course? People who have a passion for music that is not generally commercial. People who like to explore music from a non-conventional perspective. I also find this kind of research and practice sometimes inspires people to research music from their own background. I myself discovered my gypsy heritage after I had established an interest in those musical traditions along the 'gypsy' trail from India to Spain. I found out my great grandmother was a Spanish gypsy who had been marooned off the coast of Spain; she was the only survivor of a ship wreck and was rescued by a sea captain from the family La Trobe. She consequently married his son, hence the connection. You've been away from New Zealand for quite some time, how has that been? Yes, before coming back I was touring Brazil singing and collaborating with local musicians. It was a wonderful time. I had spent 10 years primarily in London but also the States and India. London had become tough after living there for five year, and a bit of a concrete bunker, so I was really happy to travel again and explore…Living again in Bethells is a welcome relief, being surrounded by nature. You have an enormous amount of experience as an ethno-musicologist, what do you find striking similar about the all singing traditions you have encountered? People sing what they can't say, so through the music you can get a really good idea of aspects of that culture that they can’t speak about. Even from within the culture, different gendered stories emerge – womens' music can be so different... singing about husbands, about the in-laws....it's so interesting. I remember returning to Auckland University to do my Masters degree around 2004. Richard Moyle (an amazing ethnomusicologist) played us some Aboriginal music and gave us the translation, so I was able to gather a new perspective in that way. Have you been impressed by the strength of performance traditions – are they endangered? My PhD was on the praise music (kirtan) of a particular region in India. It was a potent performance tradition indeed and I also spent two and a half years in Spain. Flamenco is a great example of a living tradition which is very alive and well with young composers adding lyrics to an already very rich music tradition. How have previous workshops and other event participants around the world responded to you? In terms of collaborating with local musicians, if you're really sincere, passionate and interested...they respond in the same way. There's an easy rapport...I can see them respond, wanting to openly share their music.... and wanting their cultural tradition to be understood. Did you know instinctively as a child that you would follow a path less travelled? Yes, when I was 2 years old! The epiphany was when I heard the piano playing... I was struck with a love of music. I become involved with music subsequently but not in a focused way. When I was 17, I met a spiritual teacher and all of a sudden I had a reason to compose music, to be active and not apathetic...I started to write more... Meditation is part of this process; it’s nurturing so that I can be receptive and respond to life in a creative way. 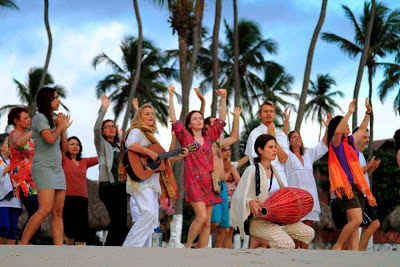 And what, ultimately, do you want people to gain from your new workshop Sacred Songs of World Traditions? This coming workshop is not geared towards performance. It's geared towards gaining knowledge and enjoyment. But I also have another quiet hope; I'm hoping there will be singers who will join us for the upcoming Sacred Music Festival, of which we now have 10 participants but would love more, so I am looking to recruit....! to immerse themselves in an authentic café experience! Situated in the former Corban Winery Estate in West Auckland, Henderson, Coffee Studio has just been furbished for its opening on Saturday 8th of December 2012. Coffee Studio masters the art of coffee making in West Auckland. Its hosts, Sarah Roberts and Richard Ingamells invite visitors to taste the award-winning Kokako organic coffee while enjoying a variety of home baking and food made with selected fresh ingredients. Visitors can relax over a cup of coffee, soak up the character filled environment and the cultural atmosphere of the arts precinct, while visiting the art galleries in the Homestead or browsing in the gallery shop with its hand-crafted wares. The Estate is set in park-like surroundings bordered by the Opanuku Stream, with space to take a scenic walk, run the family dog or bike along the cycleway. Coffee Studio offers visitors their favourite beverages whether it’s coffee the way they like it, a steaming hot chocolate, the finest Harney & Sons teas or one of the selection of cold drinks. The menu includes brunch from 10am – 2pm, and a cabinet filled with home baked muffins, pies, sandwiches and salads, biscuits and cakes. The couple pride themselves on their high quality premium products sourced from small local companies. Their commitment to supporting fair-trade ensures that their products such as sugar, coffee, cocoa, and bananas are sourced ethically and at fair prices from their producers. The café is located in the oldest winery building on the Corban Estate, above the old wine cellar. The café’s décor celebrates New Zealand’s domestic and industrial past as reflected in the up-cycled furnishings by industrial art furniture designers, The Boiler Room and many personal collectibles. The café’s wallpaper on the feature wall is dated from 1930, it was generously donated by Assid Corban, a trustee of the arts centre. The café will be open 7 days from 10am – 4.30pm. Visitors will enjoy their refreshments while listening to classic vinyls, in this relaxed, creative café environment. Coffee Studio is just a twenty minute drive from central Auckland and there is abundant parking on site. Or take the train and after only a ten minute walk from Henderson railway station and town centre, you arrive at the Coffee Studio.